Charcoal Making at the Fourth Corner Nurseries. Here is a set of images about our charcoal making project this weekend. It is a smothered pit method, first time for myself . We did open the lower end of the pit after 5 hours and take out about 40 gallons , then we put the unburned wood back in and recovered. We will be looking at it again in about 18 hours. 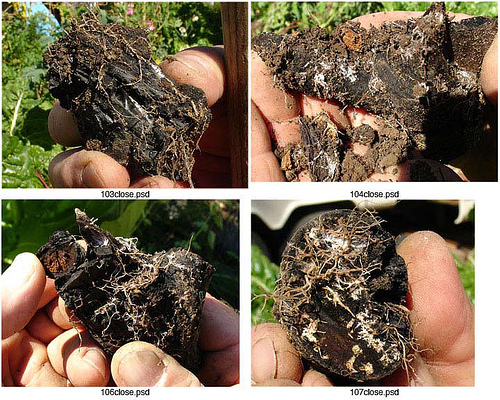 The image below illustrates the affinity of fungi and crop plant roots to charcoal.